£50 of Free BBQ Smoking Accessories with this Smoker. 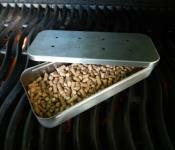 Including smoker box, 6 tubs of wood chips and a digital food thermometer. 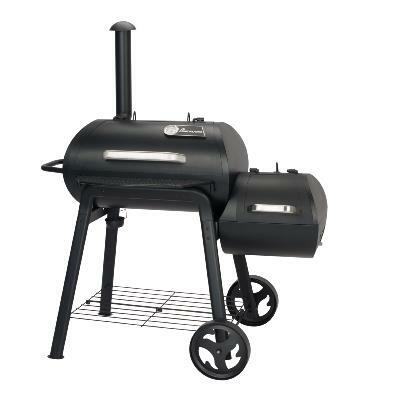 You will be able to barbecue all the year round using this type of smoker. 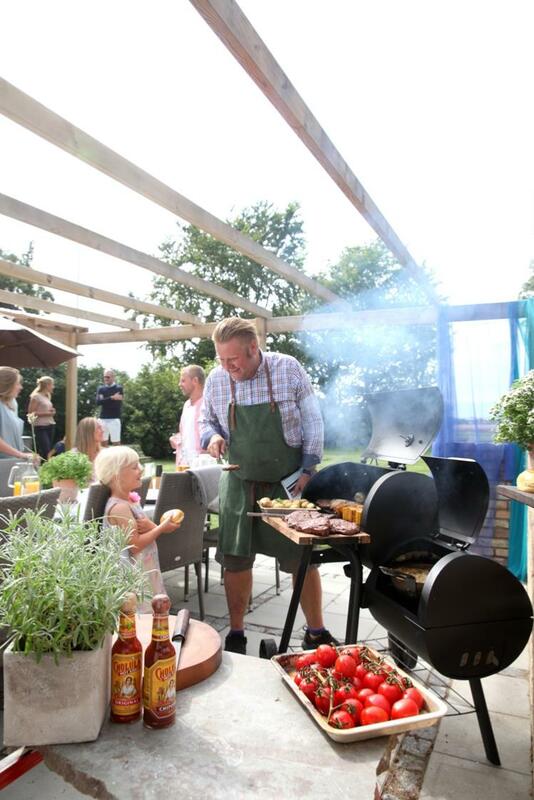 With many different flavours of woodchips, rubs and sauces to choose from, you can explore and produce some of the best BBQ ever! 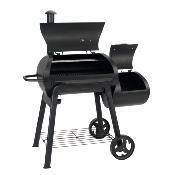 Can be used has a normal barbecue grill by loading the main chamber with charcoal and utilising the lid to roast or just keep you barbecued food warm. Enter the wonderful world of smoking food on this ideal horizontal charcoal smoker. 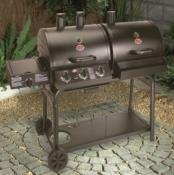 With an off set fire box for your charcoal and woodchips and large main smoking compartment. Complete with chimney, front shelf and temperature gauge. 16" (Ø: 42,14cm) curved end caps for better heat & smoke circulation. 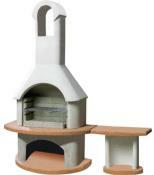 1mm fire box & cooking chamber . 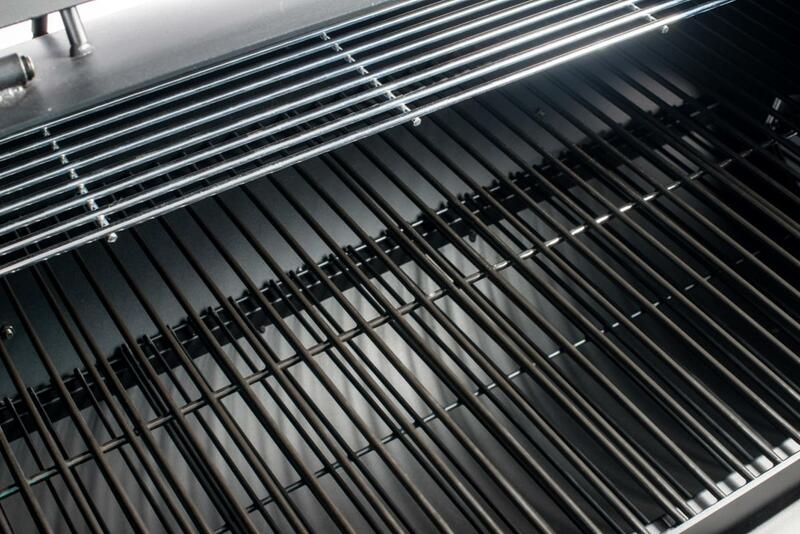 Lid Thermometer 5mm wire cooking & charcoal grates. Grease cup Stainless steel handles . 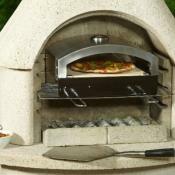 No flames or flare ups while grilling, just close the lid to quell the flames. Try a leg of lamb smoked with oak and herb wood pellets or the fantastic hickory smoke rib recipes found on planet barbecue recipe section.